Do you have a Thai Girlfriend/Fiancee that needs a Settlement Visa for the UK? Are you too busy to apply for the visa personally and need professional help to ensure the British embassy issues the Settlement Visa on the first application? 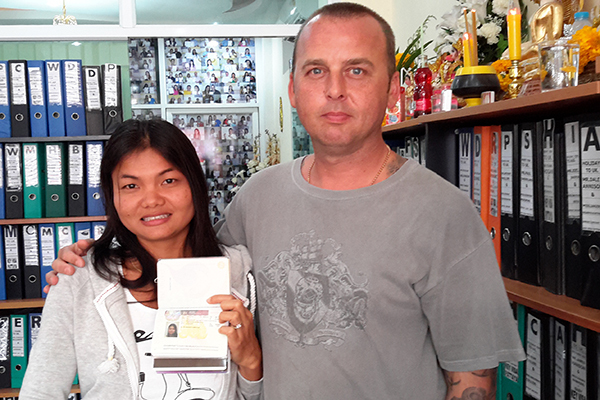 We specialise in helping Thai nationals apply and obtain settlement visa for the UK. We work closely with the British Embassy, helping you to obtain your UK Settlement visa quickly and efficiently. If you are married to a Thai citizen or engaged to a Thai citizen with future plans of marriage and you wish to take your Thai wife or fiancee to the UK you will require a Settlement Visa. The Settlement Visa will allow your Thai Partner to travel to the UK and live in the UK. The Settlement Visa will also allow for your Thai wife/fiancee to work in the UK.